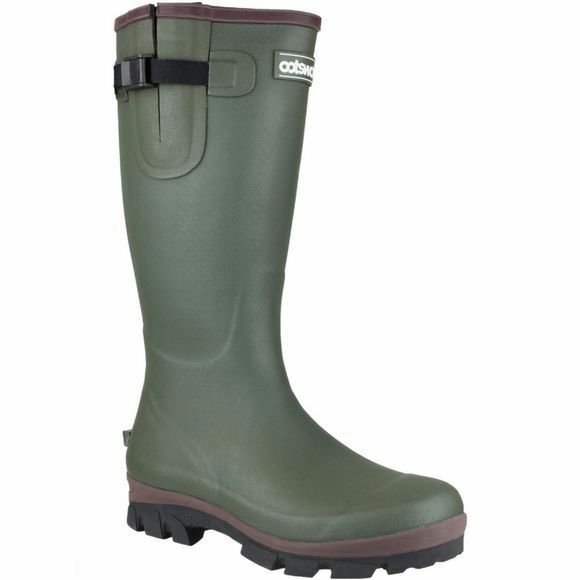 The Cotswold Collection Men's Grange Neoprene Welly is classic knee length protection to keep you dry when it turns wet and muddy. The calf adjustment and soft durable PVC allows for a comfortable, snug fit whilst the deep tread on the sole helps your feet remain planted on slippery terrain. The addition of a kick off ridge on the back of the heel means you won't be fighting to take them off.